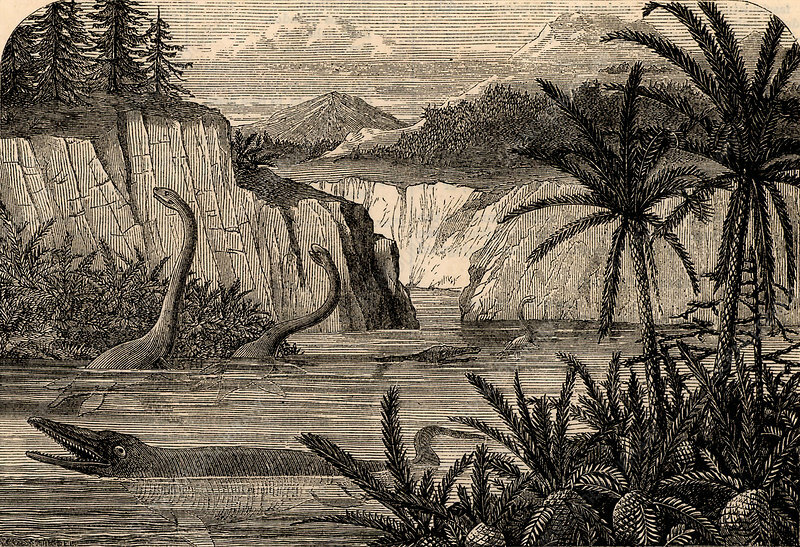 Ideal flora and fauna of the Liassic period including Ichthyosaurus and Plesiosaurus. From The Popular Educator (London, c1855). Engraving.